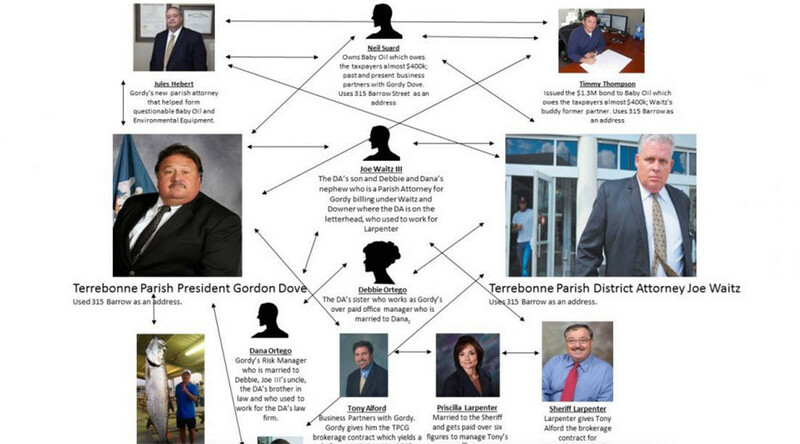 A man accused of being an anonymous blogger known for criticizing public figures in Terrebonne Parish, Louisiana was arrested on the order of the very same sheriff that he accused of corruption. On Tuesday, six sheriff’s deputies executed a search warrant on a man they suspected to be the author of Exposedat, a blog dedicated to linking together alleged shady business dealings of local officials, police officers and businessmen. The suspected blogger was Officer Wayne Anderson, who works for the police department of Houma, Louisiana, the county seat of Terrebonne Parish. The sheriff’s deputies seized two laptop computers and five cell phones from Anderson’s home. Sheriff Jerry Larpenter issued a statement Thursday saying that the his office is investigating a complaint filed by Tony Alford, a local insurance businessman who was recently awarded a no-bid contract with the parish government. “The complaint is based on LRS 14:47 Defamation. The complaint conforms to the [statute] in question and is a criminal issue, not a freedom of speech,” Larpenter said in his statement. The crimes that Exposedat claims to reveal aren’t particularly heinous. One blog post, titled “Biz Stinks,” shows a picture of the sheriff partying with a local businessman who the sheriff claimed to have never done business with. Other posts lay out connections between top politicians and businessmen in the parish, including Sheriff Larpenter himself. “If you're gonna lie about me and make it under a fictitious name, I'm gonna come after you,” Larpenter told WWL-TV. Anderson’s attorney denied that his client had any involvement in Exposedat. 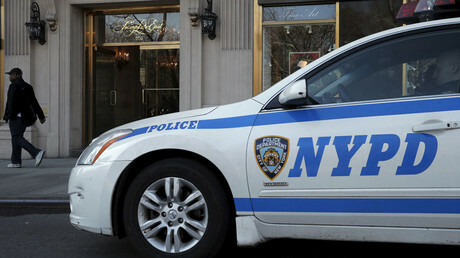 The officer is currently on paid administrative leave under allegations of conduct unbecoming to a police officer.